As a progressive development agency confident in technology’s power to solve business problems, we view our client’s projects as more than digital operations and create masterpieces that transform their entire businesses. We are proud that our consistent results have afforded App Guys a five-star profile rating on Clutch and a place in their shortlist of top app developers in Calgary. 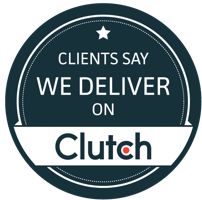 Clutch is a ratings and reviews firm in Washington, D.C that couples independently conducted market research and client reviews to evaluate companies featured on their platform. Clutch analysts conduct interview with clients. We know how important is is for small businesses to have well designed mobile apps, and we are committed to delivering for startups and enterprises alike. Our 5 star average rating is validation of our commitment to quality. You can read the full reviews on our profile and please contact us to learn more about how we can solve your business problems.